Consumers want to be catered to without being stalked. The right degree of email personalization leads to greater brand loyalty and LTV. The overdone personalization approach leads to unsubscribes. But email marketing is more than just opens and click-through rates (though that’s part of it). The right cocktail will give value to consumers while having the side effect of also doubling your open rate. We're going to show you. Stewart Rogers, Director of Marketing Technology, has studied the big and small data around email marketing and has uncovered the tried and true formula for increasing open rate and customer satisfaction. Join us for this free executive roundtable where we will arm you with strategies you can start using to increase your effectiveness. 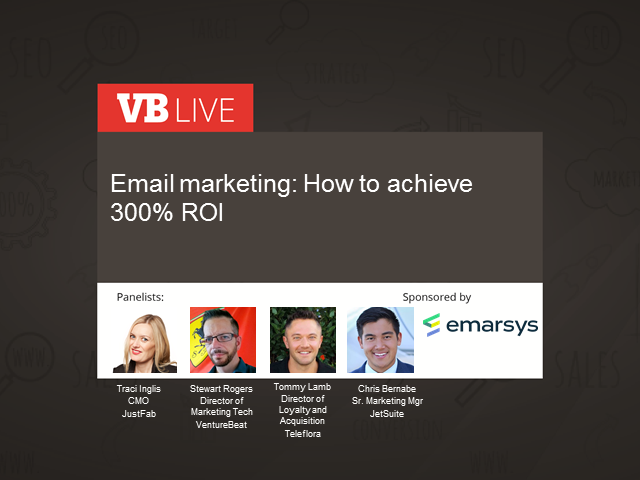 * Personalize email marketing without making huge errors. Register for this executive session today.